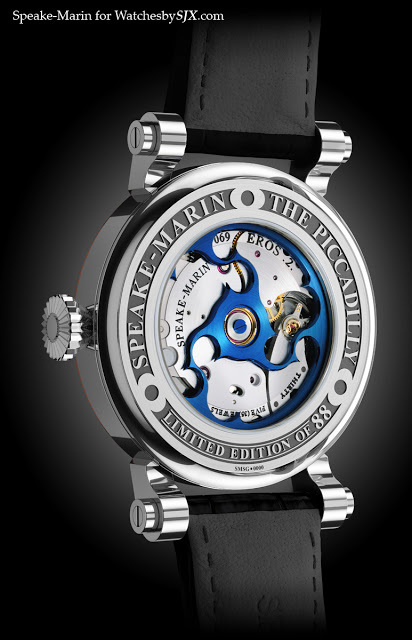 The first watch in the new Mechanical Art Collection from Speake-Marin, the Triad features three sets of hands. An open dial reveals the gears driving the hands. 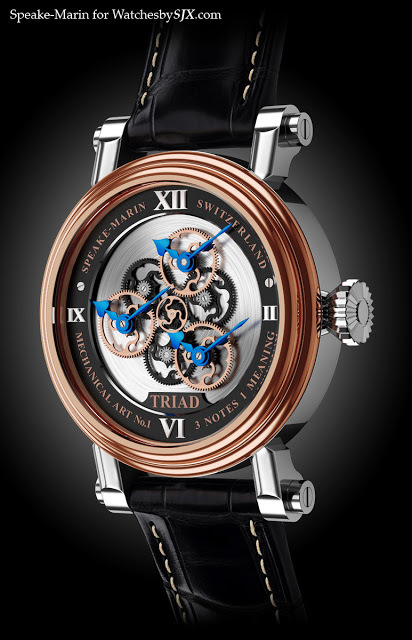 Peter Speake-Marin has just announced the peculiar looking Triad, a limited edition wristwatch with three sets of hands. This, however, is not a triple time zone watch, all the hands are synchronised and show the same time. 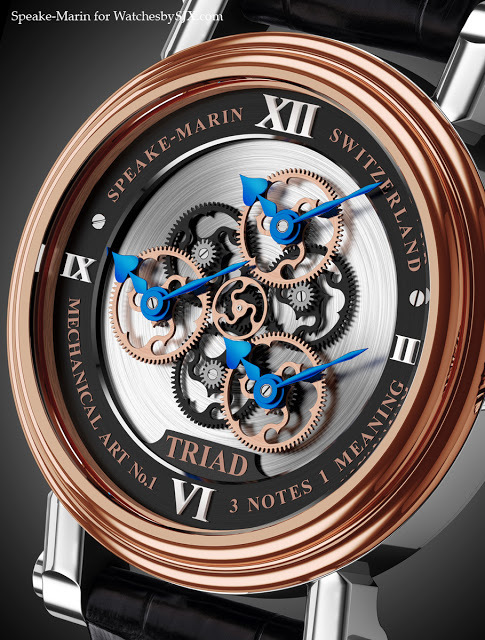 The hands, which are in blued steel, are driven by rose gold-plated gears shaped like a topping tool, the Speake-Marin logo. And in the centre is a seconds hand similarly shaped like a topping tool. Below the gears is the brushed, rhodium-plated base plate of the Eros 2 calibre, made from German silver. Based on the TT 738 movement from Technotime, the Eros 2 has a five day power reserve and is fitted with the Speake-Marin signature mystery rotor in the form of a blued steel topping tool.